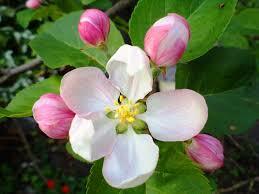 It’s spring; time to plant some fruit trees! We can grow some amazing fruit here on the prairies, and the varieties of trees that we sell have been grown here successfully for many years. Beautiful and fragrant blooms, amazing fruit, and gorgeous fall colour; apricots are a joy to have in the yard! A second and different apricot is required to have fruit. Apricots bloom very early in the spring which can be damaged by frost. Trees reach 20’+ tall, and fruit ripens end of July/early August. Prairie Cherries were developed at the U of S in Saskatoon, where they are called Dwarf Sour Cherries. We like our name better 😉 While they are tart, the fruit is also sweet and get sweeter the longer the fruit is left on the tree. The cherries are self-fertile so a 2nd tree is not required to get fruit. Trees grow to 6′ – 10′ high and the fruit ripens end of July/early August. 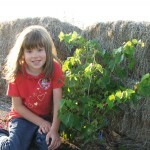 There are only a few varieties of grapes that are fully hardy for Saskatchewan, but if living in the city or a protected area, more tender varieties can be grown. Grapes prefer full sun and protection from the wind, as well as having a trellis, arbor or fence for the vine to climb on. Most varieties of grapes are self-fruitful, so a 2nd vine is not required. The wild grape and a variety called Minnesota 78 need a 2nd and different variety to have fruit. Vines can grow 8’+ and fruit is ready in early/mid September. After the 1st frost all of the leaves and green stems die so it is important to try to get the plant to ripen the fruit as soon as possible so it has a chance to harden off before fall. Haskap are a new and exciting fruit being developed by the U of S. A member of the honeysuckle family, these strange looking fruit are both delicious and extremely high in anti-oxidants. They bloom extremely early in the spring, but the blossoms are hardy to -7C. Trees grow as 4′ – 5′ bushes, and the fruit ripens in late June. Extremely hardy. Pears are extremely ornamental at bloom time with their massive amounts of flowers and pyramidal tree shape. A second and different pear is required to have fruit. Trees grow 20’+ tall, and the fruit ripens in early/mid September. Plums are beautiful trees at blossom time, with a wonderful fragrance. A second and different plum is required to have fruit, and sand cherries and possibly apricot can pollinate as well. Trees grow 12′ – 15′ high and the fruit ripens in August-September depending on the variety. Raspberries grow as canes and not trees, where the cane grows in the first year, and produces fruit in the second and then dies. Fruit ripens late July/early August. A second type of raspberry called “Primocanes” has the fruit producing on the 1st year’s growth but the fruit ripens in September and may not be ripe before the 1st frost. Raspberries are quite vigorous, sending out new plants to continually renew the patch. The native Saskatoon plants are a fruit staple to all prairie people! A member of the apple family, they are extremely hardy, but susceptible to frosts, disease, and insects, and more challenging to grow organically. Trees can grow 15’+ high but annual pruning to renew the tree can keep the height in the 8′ – 10′ range. Fruit is ripen in early/mid July. There are 3 types of strawberries; June bearing which produce once in late June/early July, Everbearing which produce in late June/early July and then in the fall, and Day Neutral which produce from late June until frost. Plants have difficulty competing with weeds so mulch or landscape fabric is necessary. Planting of the trees is preferred in the spring but can be done up until the fall; our trees are outside all growing season so they will have no transplant shock. Determine the best location for your plant; most fruit trees prefer a spot where it is sheltered and has full sun. Put your potted plant in a tub of water for a few hours to ensure that the roots are saturated with water. Dig a hole as deep as the height of the pot, and 50% wider than the pot and put the dirt close by the hole. If you have sandy or clay soil, it would be beneficial to to mix some peat moss or coconut coir(sometimes sold as coco-peat) into the dirt that you removed from the hole. This added organic matter will help retain moisture in the case of sandy soil, and provide better drainage and root penetration in the case of clay soil. Remove the pot from the plant(do not put the pot in the hole!) and gently break up the soil on the bottom and sides of the root ball. If the roots have circled around the pot, apply more force to break up the roots; breaking a few roots is preferable to having roots that are “root bound” and running in a circle. Place the plant in the hole and fill in with the dirt/peat moss mixture. Use your feet to tamp the soil around the plant. Use the left over dirt to create a dike around the plant to help keep water from running away. Some type of mulch is recommended to suppress weeds and to reduce evaporation from the soil. Straw, bark chips can be used but mice/voles love to make nests in them and can cause damage over the winter to the bark of the tree. We use very heavy landscape fabric that will not break down. Water the plant very well. Keep an eye on the weather for the first year; drought situations may require more watering. Stop all watering by the end of August so that the plant can stop growing and prepare for winter. If a drought is occurring in late summer, give enough water to keep the plant healthy. Once the leaves have dropped in the fall, give the plant a good watering so the roots will be hydrated over the winter. Spring, usually mid April is a great time to prune. Diseased or damaged branches should be removed ASAP, but pruning is summer is not recommended.